Paru Goreng is an Indonesian and a Malay delicacy. 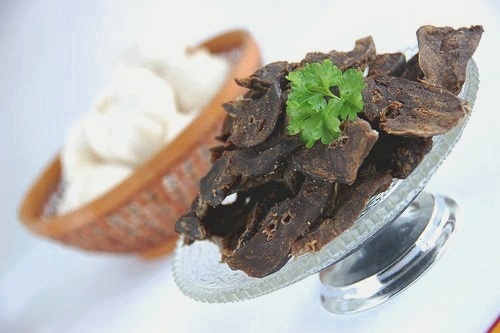 Beef lung can be cooked in various kind of dish. From belado to sambal goreng, paru is also eaten freshly fried as a side dish. Those who got scurried away on hearing the word lung, will not know what they are missing here. Put sufficient oil in wok and fry the lemongrass and bay leaf, the blended rempah till aroma. Heat up water in pot to boil the lung for about 2-3 hrs till tender. Deep fry the lung in a seperate wok. Add in and mix the fried lung into the rempah mixture and stir well. Serve with rice or you can eat it as a snack. This one sounds really simple to do cant wait to try this one!